Add color indoors now. 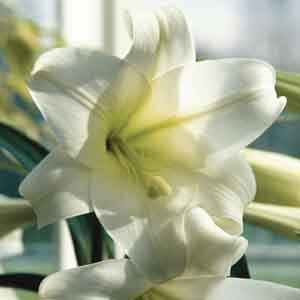 Wonderfully fragrant blooms provide a treat for the senses. 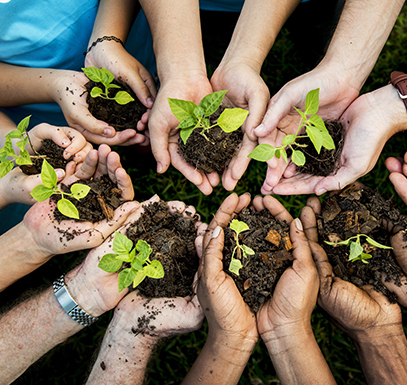 Easy to grow and very rewarding. These unique plants are sure to attract attention! 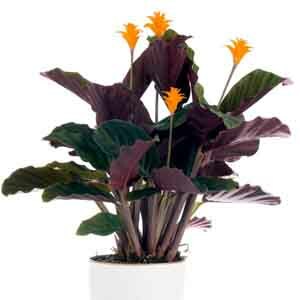 An amazing combination of beautiful foliage and vibrant, long-lasting blooms. 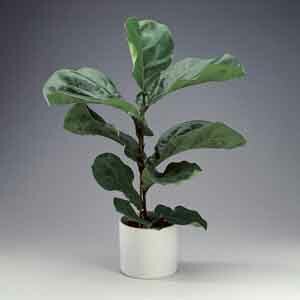 The distinct upright habit and unusual flower structure give this plant a very modern, architectural feel. Brilliant orange flowers add bold color in any location. 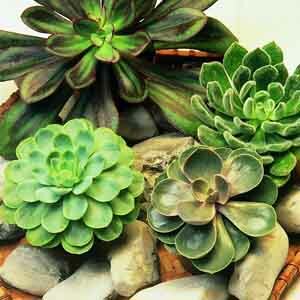 Native to the tropical regions of Brazil. A perfect choice for adding a touch of formality to any room. 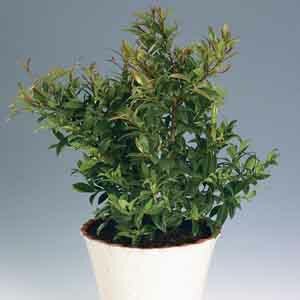 The glossy foliage makes Eugenia an attractive solo specimen, but also compliments other house plants in mixed groupings. Light pruning of new growth will help maintain the shape of the topiary. A unique accent plant found in nature growing among the islands of the South Pacific. 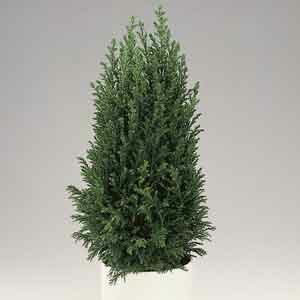 The airy texture and deep bronze-green foliage adds a soft silhouette to any bright location. 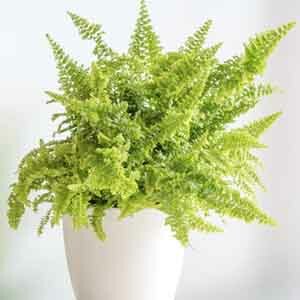 This is a special type of Boston Fern with soft ruffled fronds that form a tidy dense clump. 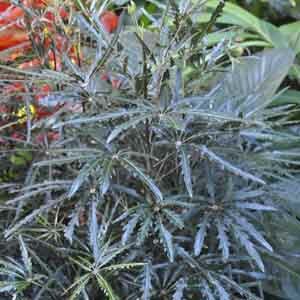 This plant thrives on humidity, so daily misting in winter months and a gravel and water-filled saucer beneath the pot in warmer months are highly recommended. 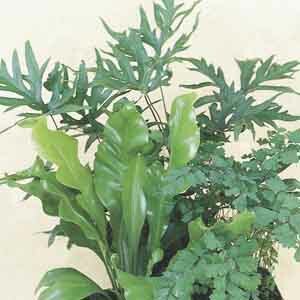 An eye-catching, easy to grow plant. Green leaves are etched with colorful veins that create a striking mosaic effect. Creeping habit is ideal for hanging baskets. 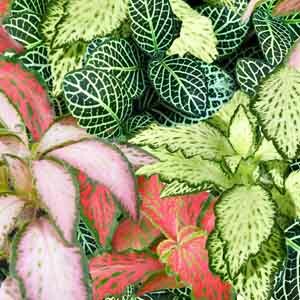 Beautiful used as an outdoor annual, cascading over the rim of a container planted with colorful flowering plants.